Dogs in Cafes, Pubs and Restaurants! Image courtesy of Roddy Gordon. Should Australian establishments allow dogs inside? Throughout the UK dogs are permitted in cafes, pubs and restaurants. Although the decision lays with the proprietor of these establishments, many cafes, pubs and restaurants are dog friendly! This is also the case throughout the majority of Europe. However, in Australia you would find it hard to find an establishment that allows your beloved furbaby to join you inside a café, pub or restaurant. Currently, in Australia dogs are only allowed in outdoor areas of these establishments. However, some have a blanket ban, a decision by the proprietor to not allow them at all. 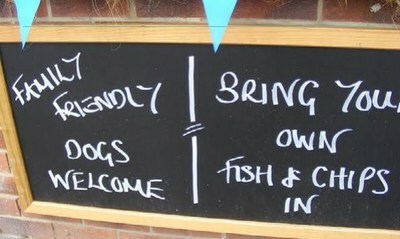 Thankfully, over the past year, I myself have seen a few pubs now have “Dog friendly pub open days”. Image courtesy of Roddy and Jane Gordon. Australians love their dogs, as much as the Brits, and this is finally a move in the right direction. Many Australians see their beloved dogs as part of their family and with the hot weather in Australia, it would make sense for cafes, pubs and restaurants to allow people to bring their dogs inside from the harsh, hot weather conditions. Additionally, many owners may then take their dogs on holiday with them, as they know that when out and about know they can take their dogs with them to cafes and restaurants. This could be a huge thing for the Australian tourism industry! There are now many owners, who if they go to a café or pub and their dog is not allowed to even be in the outdoor eating area, will not eat there at all, or refuse to return until the owners change their policy. Times are changing, as it appears that Australia is very much behind in regards to where our four legged friends can join us. Maybe it is about time Australia catches up with the UK and Europe on their laws regarding dogs in eatery establishments. This could lead to a larger increase in customers for many establishments and have a positive impact upon the tourism industry. If you are a café, pub, or restaurant owner, who believes our four legged friends should be allowed inside, we would love to hear from you. Or if you throw “Dog Friendly Days”, leave a comment and we can share your event on our Ready for Pets! Maybe it is time, that we Australians petition the government to follow suit of the UK and Europe and ask for dogs to be allowed in these establishments!